to a community built around a love of herbal tea and receiving snail mail. Our teas are hand blended in Australia by Naturopath Laura Yen, using the finest organic ingredients. Burton Health Teas are formulated by a highly trained Naturopath, combining a love of tea with traditional naturopathic wisdom. 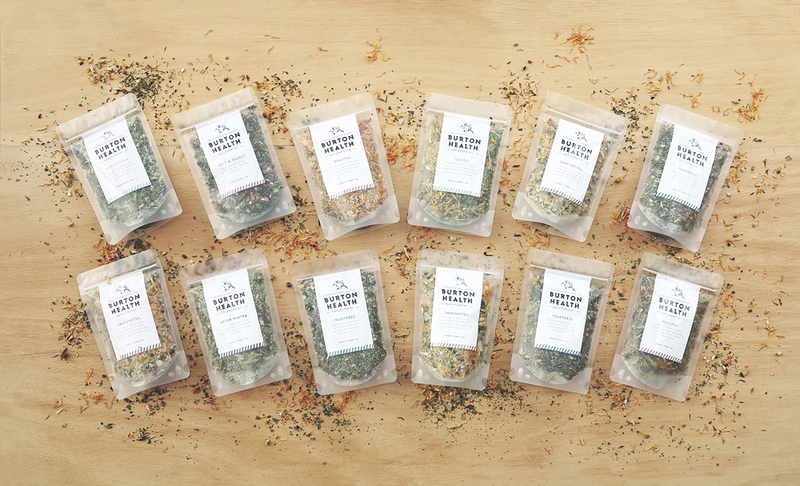 The Burton Health Tea Club is more than a herbal tea store. It is a reminder to slow down and revive. It is an opportunity to connect with nature (in a cup), and reconnect with your vital force. Naturopathic philosophy is based around the theory of life energy or "vital force". To maintain vitality we need to nourish ourselves and replenish our energy stores. In our fast paced lifestyles we have forgotten how to recharge. The Burton Health Tea Club provides the reminder you need to slow down and breathe life in. All of our herbal tea blends are made from certified organic herbs. Our herbal tea is flavourful and natural. We don't add any colours, flavours, preservatives or sugar. We believe in letting the natural flavour of each plant shine through in our herbal tea blends. Every drop is pure, natural and delicious. Take your tea loving to the next level with our organic, hand blended herbal tea. Looking for the perfect gift? Look no further, our herbal tea blends and accessories are amazing gifts too - just enter your loved one's details in the notes at the checkout and you're sorted - we'll wrap your gift, write a card and post it to your tea loving friend! Thank you for signing up to the Burton Health Newsletter! Please check your inbox for a Burton Health email and discount code.